Insured Safe Deposit Box RentalsBlueVault. Southern California’s largest safe deposit box facilities. 11 SIZES. SIGN UP NOW. BlueVault rents safe deposit boxes with the highest protection for your valuables, whether cash and gold, jewelry and heirlooms, or documents and digital media. And unlike banks, BlueVault provides insurance for your contents in the event of a loss such as a disaster. Safe deposit boxes with added security and privacy. BlueVault is not a bank. We don’t offer car loans or checking accounts. We are the largest safe deposit facilities in Southern California, and our business is keeping your valuables safe. BlueVault’s easy-to-get-to locations in San Diego and Orange County provide convenience and quick access. Choose from 11 sizes of high-security safe deposit vault units, small to jumbo. And manage your box contents in a comfortable privacy room or in our private conference room. BlueVault is actually safer than a bank. For starters, at a bank you get NO insurance against losses such as fires or floods. At BlueVault, basic insurance coverage is INCLUDED. 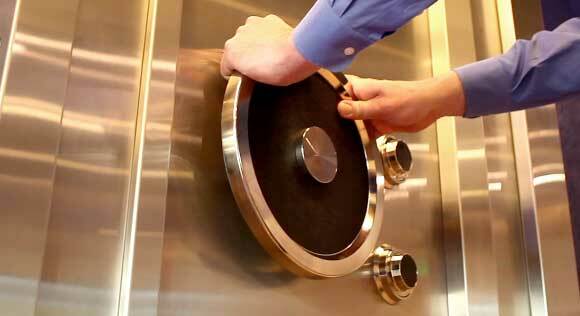 Protect your valuables in our 90-ton UL-rated vault. Rent month-to-month or take advantage of our discounted annual rate. It’s easy. No bank account is required. Sign up at BlueVault, or sign up online to make sure you get the size unit you want. Bring your acceptable photo ID showing a U.S. address when you come in. BlueVault serves a wide range in our community, from big institutions to a single sailor on deployment. There’s no safer place to vault valuables and important assets. To learn more, call, email, or better yet visit us. We’ll be happy to answer all your questions. Thank you for the excellent service provided with my Gold IRA orders.